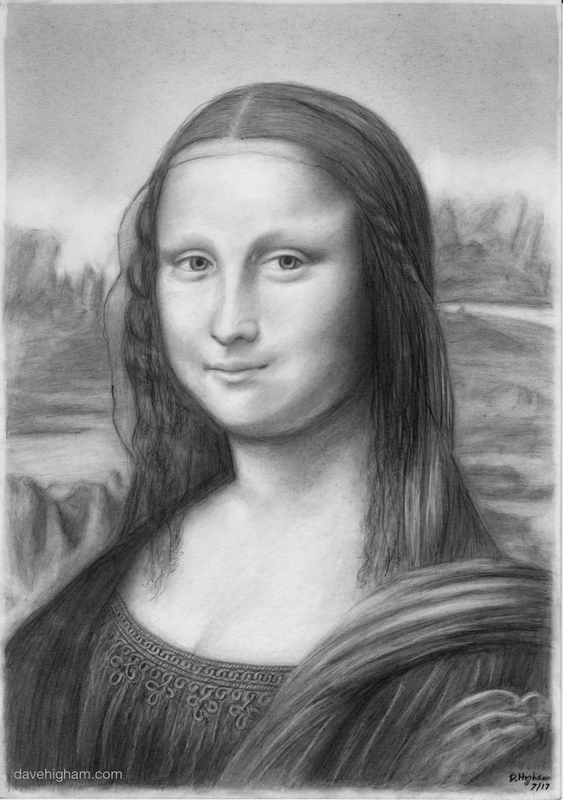 A pencil portrait of the Mona Lisa drawn with a 9B graphite pencil and a mechanical 2B pencil. © 2019 Dave Higham. All Rights Reserved.